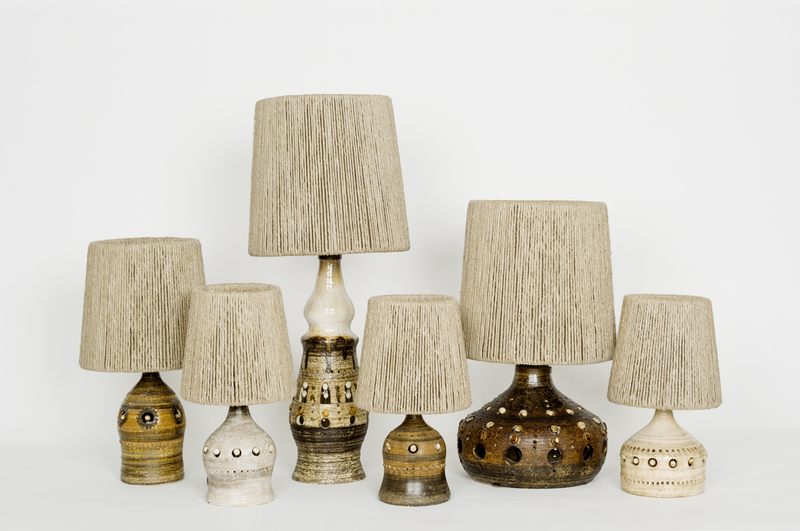 Les Foins offers lampshades with bases measuring 20, 25, 30, 35 and 40 cm in diameter. 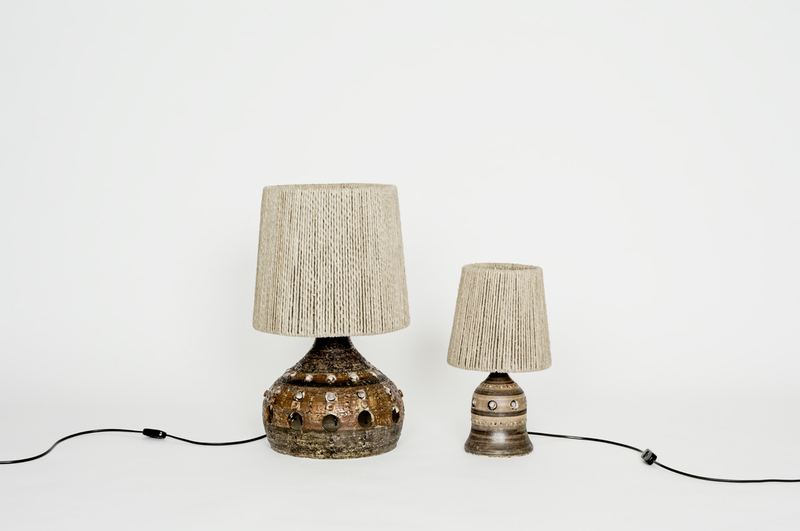 These lampshades are handmade with linen or hemp cord – a great complement to Georges Pelletier’s ceramic lamps. Made to be outfitted with LED bulbs (or energy saving lamps). 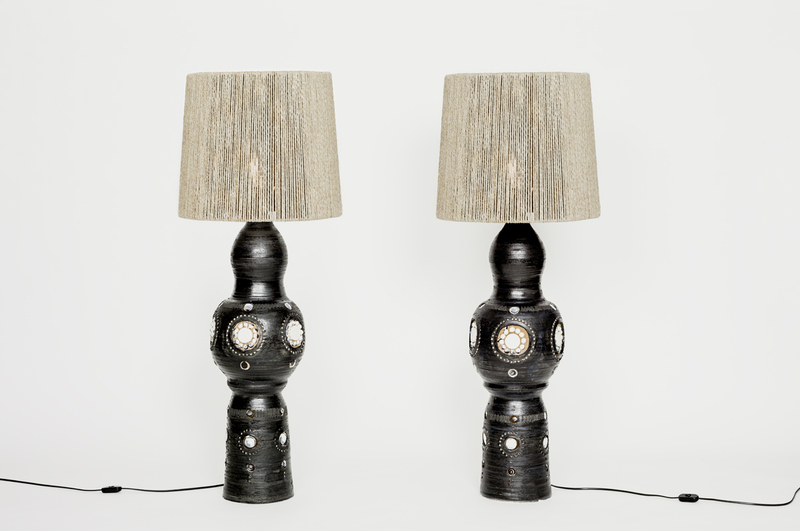 A pair of floor lamps by Georges Pelletier. He has regularly produced this model since the ‘70s, but each pair is one of a kind. 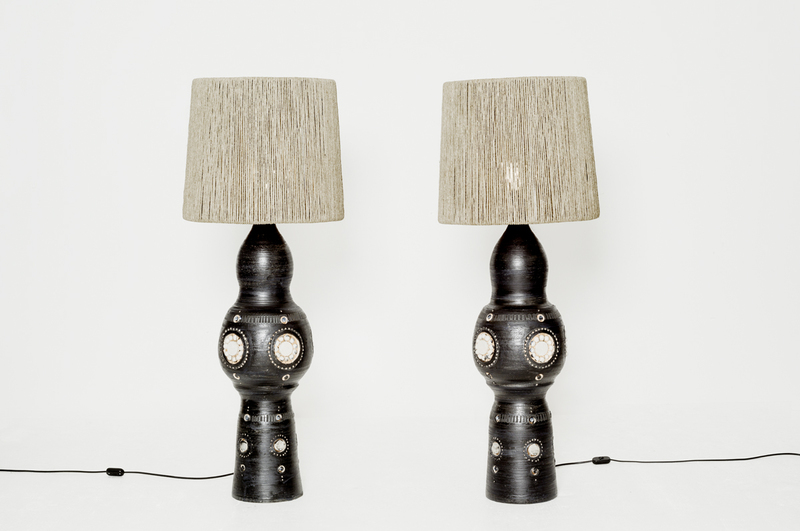 Black enamel, slightly bluish chamotte clay, 115 cm height with lampshades, 2016. Another pair of this model. 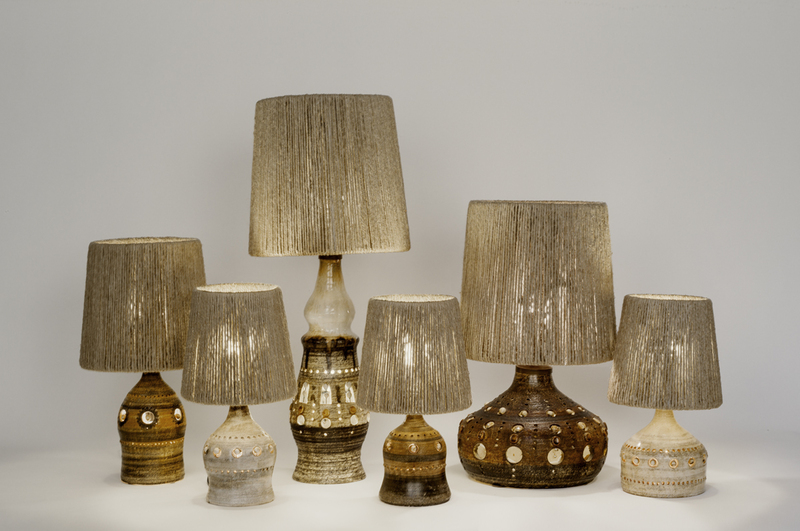 If each pair is a new work, equally each lamp as its own “identity”. Offered as a pair or separately. 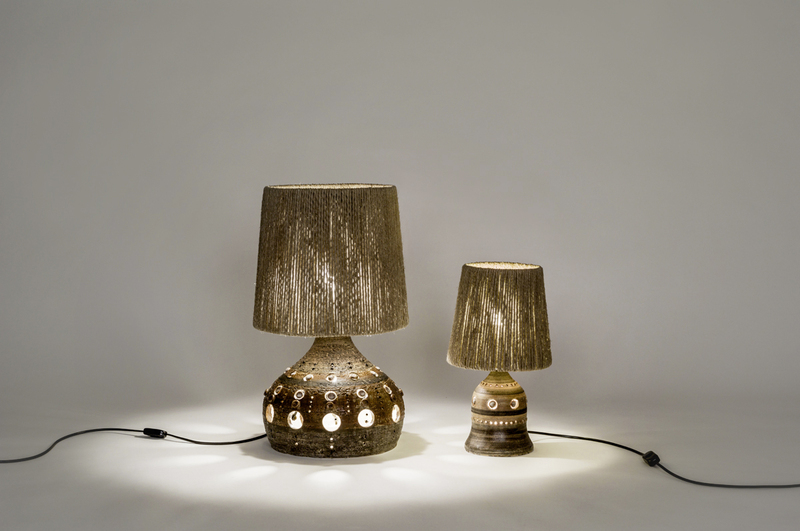 Lamps from Georges Pelletier, produced really recently. This reinterpretation of youth models is an exclusivity for Les Foins. Chamotte Clay, brown and chocolate, 53 cm height for the first one, 38 cm height for the second one, 2016.